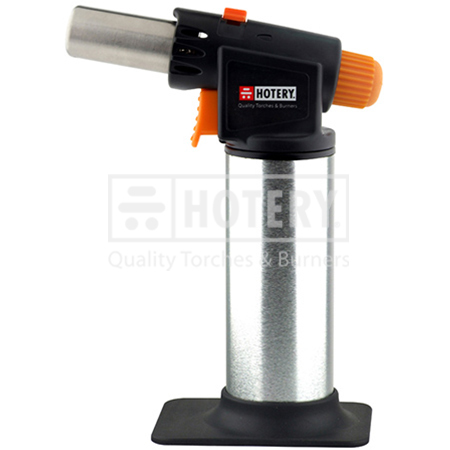 We are one of the leading manufacturers, suppliers and exporters of a wide array of Cooking Blow Torch. We also are a company dedicated to the manufacture and supply the products from Taiwan. We can easily fulfill your requirements for our products. What's more, We also undertake projects for designs made as per clients requirements. Professional cook’s torch alum. torch body. 3. Gas-flow adjustment for flame lengh with anti-flare function. 4. Two flame function: powerful / soft flame. 5. Butane refillable gas. cap: 28g (=47.9ml). 6. Product size: 102x73x156mm (lxwxh).